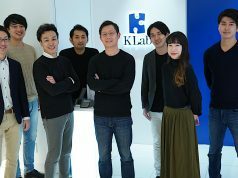 Tokyo-based Planet Table, a ‘food tech’ innovator specializing in food delivery using big data, announced on Wednesday that it has fundraised about 400 million yen (about $4 million) from SBI Investment, Genuine Startups and Mistletoe. Details such as the payment date are kept private. 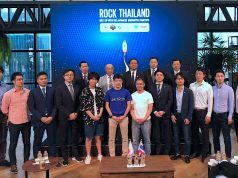 This follows their previous $850,000 funding back in a series A round in January of this year. 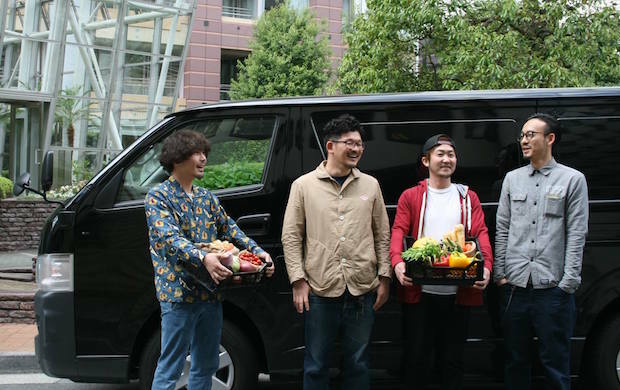 The company unveiled, together with this, that the number of restaurants using their farm products distribution platform Send (released August of 2015) has reached around 1000, with the number of food producers topping out at 3000. The funds secured this time around are being used to establish a new distribution center in Tokyo named “Gate Meguro” whose focus will be to expand the deliverable area, among other things, and also to take on the challenge of constructing a new logistics model. Additionally, Seasons!, a direct trading platform for food producers and buyers that was launched in June as a closed beta for authorized parties only, is set to open to the general public this fall. Over the next year and a half the company plans to increase the number of personnel from the current 20 to about 35. Send, the farm products distribution service that carefully connects producers and users by their respective supply and demand data in an effort to solve the problem of food loss, will move toward the next big stage. To read more about the future aims of SEND please refer to the following article written last year. 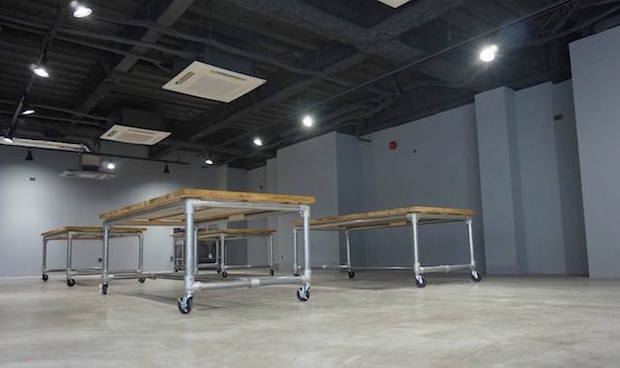 Thanks to all the support, we have moved our center (previously in Shibuya) to Meguro. The one truck we had one year ago has grown to 8 trucks. To evaluate the restaurant side of business, at first there were many items to assemble, or cheap items. There were a lot of these types of things, but gradually we moved toward never experiencing shortages, etc., and usability. On the producer side, we are getting the same products put into circulation before now bought at 1.2 times the price, one effect being customers have come out pleased with their price per acreage more than doubling. Now, business is booming and the company receives so many requests, such as the desire by some to increase the meat services, that its finding it difficult to keep up. On the one hand, it takes time and effort for distribution. They posses the physical distribution center and trucks, and also an internet business with the commonly held notion with its forced management could create a contrarian environment, thus making it risky. 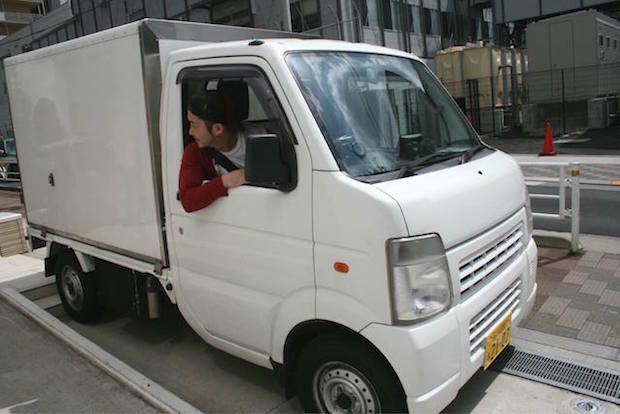 Naturally, the increase of trucks and delivery personnel creates a heavy burden on management as well. The construction of a virtual distribution network solves these problems. 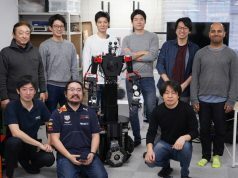 Kikuchi remarked from when the project was originally launched on whether an Uber inspired model might be a good choice or not. And now, in order to achieve this they are beginning delivery tests of an outsourcing format. Maybe we can call it a delivery-sharing model. This model answers the problem of how to deliver efficiently in an urban area, so we are testing it with our outsourcers. To pick up regionally produced farm products, we can have them go around to venues such as Michi-no-Eki, or roadside stations across Japan. We’re trying various ideas. To explain a little, the producers make a crop which must then be collected by a Send team member. It is easy to imagine how the system would be the best option for finding the most efficient route. However, then delivering the goods to restaurants will require some technique. 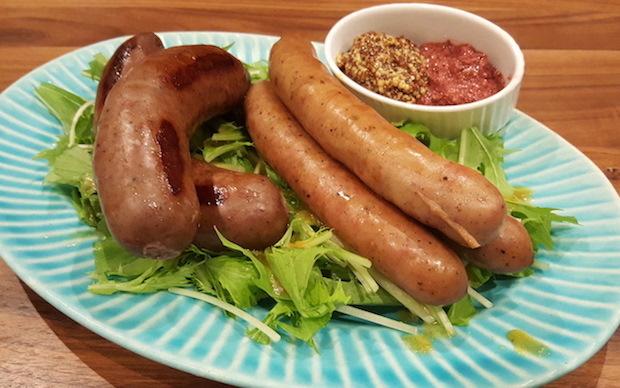 A dish of Sausages handled by Send. Kikuchi finds most products himself by traveling around Japan. We will share revenue from the sales restaurants buy from the deliverers. So, it’s not just just delivering goods that have been ordered, but requires presenting the goods to restaurants in an enticing way. Here the data becomes key. The Send platform owns the data showing what kind of customer each restaurant is and what product they will want and when. So based on this information, delivery people can obtain the knowhow to make attractive propositions. Production, distribution, and usage–place these three entities into the virtual network and the patform can provide the data to connect them together. Because the virtual network does not stick to any one of these resources, it becomes easy to scale. On top of this, the team has also prepared measures to reduce loss that occurs at the time distribution. We will report the details of this at a later date.